For many years, only a handful of savvy hikers and locals knew about Flagg Mountain, a beautiful peak just under 1,200 feet tall in Coosa County. These days, however, the secret is out, and hikers and outdoor enthusiasts are making this a must-hike destination in Alabama. The mountain, the southernmost in the Appalachian chain over 1,000 feet tall, is a delight to walk no matter what time of year, with snow in the winter that gives way to a carpet of brilliant wildflowers in the spring. Add to that a chance to see the amazing artistry and handiwork of the Civilian Conservation Corps (CCC) from the 1930s that’s virtually unchanged since that time, and you have the formula for an outdoor adventure brimming with fascinating Alabama history. Ready to see what all the fuss is about? Here’s what you need to know about hiking historic Flagg Mountain. 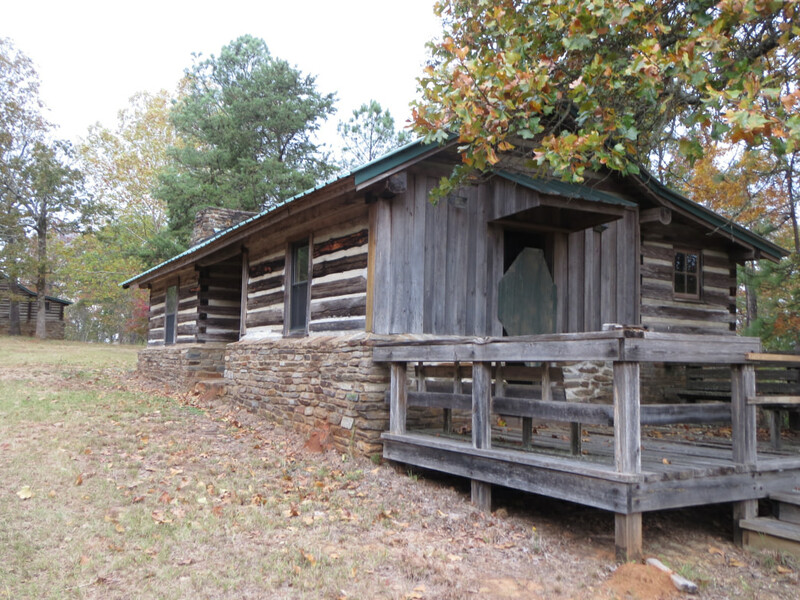 Flagg Mountain’s story begins in 1933 when a group of young men from New York, part of the CCC, came to this mountain in Weogufka, Alabama, to start clearing land for a new state park called Weogufka State Park. 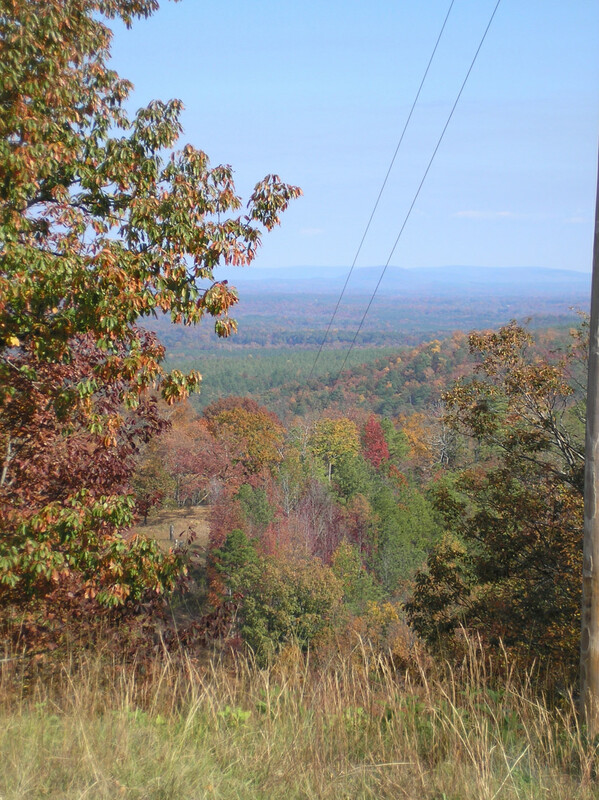 Located between Birmingham and Montgomery, the area was chosen because of its status as one of the last mountains in the Appalachian chain and because it was located in a beautiful yellow pine forest, the largest east of the Rockies. A highlight of a visit to the new park would be the views from high atop a proposed stone lookout tower. Officials claimed the park would be "the most scenic in the state". Sadly, the project was never completed: The CCC company working the mountain was disbanded in 1936, and with the advent of World War II, the dream of making the mountain a state park never became a reality. In his book, The CCC in Alabama 1933-1942: A Great and Lasting Good, historian Bob Pasquill aptly described Weogufka State Park as "the greatest state park that never was." For the next five decades, the tower was manned by the Alabama Forestry Commission, but in 1989 the AFC closed its operation. For the next 15 or so years, the tower stood dormant, decaying with age, as did the cabins below. The story could have ended there with the structures eventually being reclaimed by nature, but a determined group of local volunteers stepped in to helped shore them up in an effort to keep them from deteriorating even more. Today, Flagg Mountain is buzzing with renewed excitement. The AFC has made it a mission to renovate the structures to preserve this piece of Alabama and American history and to also allow the public to experience it. 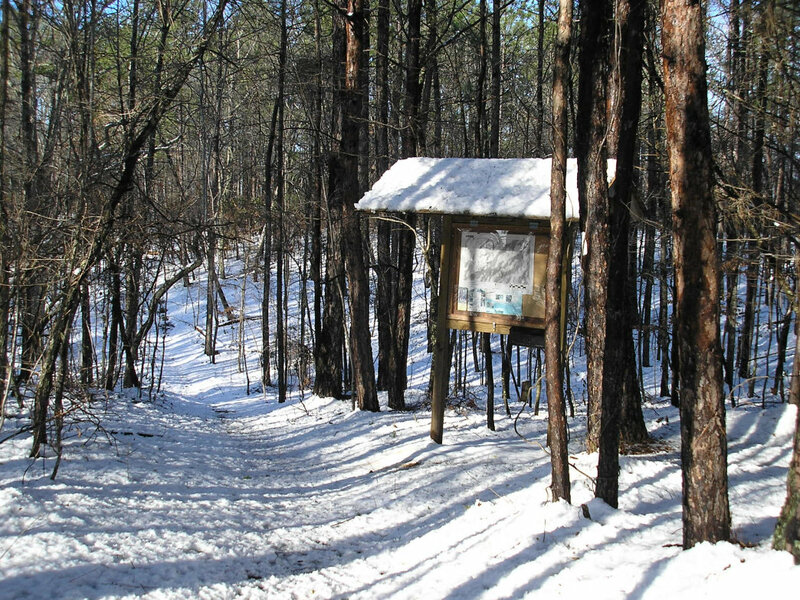 Under the watchful eye of the Alabama Hiking Trail Society and AFC, volunteers are picking up where their predecessors left off, building a new hiking trail on top of the mountain and restoring the old cabins and fire tower. The mountain even has its own caretaker now, Triple Crown hiker E.B. "Nimblewill Nomad" Eberhart, who keeps a watchful eye out for vandals. Currently Alabama’s premier long trail, the 170-plus mile Pinhoti Trail, has a trailhead just south of the mountain. Eventually the trail will be routed over Flagg, and since the trail is linked to the Appalachian Trail, long-distance hikers will be able to hike from the southernmost mountain in the Appalachians to the northernmost. A highlight of the mountain is a great 4-mile hike that was recently built by local volunteer trail workers through a mixed hardwood forest. In the winter, the quiet solitude of the wilderness is soothing, especially with a good dusting of snow. In the spring, the mountainsides are filled with a rainbow of wildflowers; come autumn, the mountains and valleys are ablaze with brilliant fall foliage. The trail is generally a two-foot-wide dirt footpath marked with yellow blazes that connects to a white blazed trail for the return trip. You will cross one spring along the route. Where the yellow and white trails connect at the 1.2-mile mark, continue straight to the southwest following an old, unmarked dirt road that will lead you to the old CCC cabins. Time seems to have stood still here, as the cabins look much the same as they did some 80 years ago. Currently, hikers aren’t allowed inside without permission, but you will still get a good look at the handiwork of the CCC from the outside. But let the caretaker know you’re there, and you may just get a history lesson and tour. From there you can hike up a long, steep powerline another quarter-mile straight up the side of the mountain to the fire tower itself. After viewing the structures—and appreciating all the hard work that went into them—you can either retrace your steps to complete the main loop or hike down the hill to the old CCC road and walk north one mile back to your car. 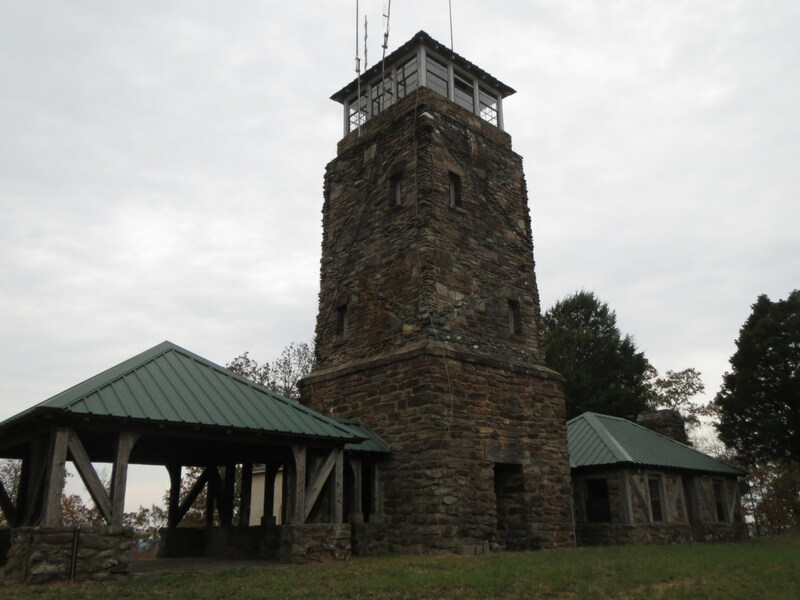 Remember that entering the fire tower is currently off-limits for safety reasons. When visiting the cabins and tower area please let the on-site caretaker know you’re there. You may get a tour and a history lesson. Hunting is allowed in Weogufka State Forest. Visit the Alabama Department of Conservation website for dates. Getting There: From Birmingham take I-65 south 51-miles to Exit 212 (Clanton). Turn left onto AL-145 North. Travel 1.8 miles and take the right fork onto County Road 55. Travel 19 miles and turn right onto the dirt CC Camp Road. Travel 1.3 miles. You’ll see the trail on the left; the kiosk is 50 feet into the woods off the road. Park off the shoulder where you can.